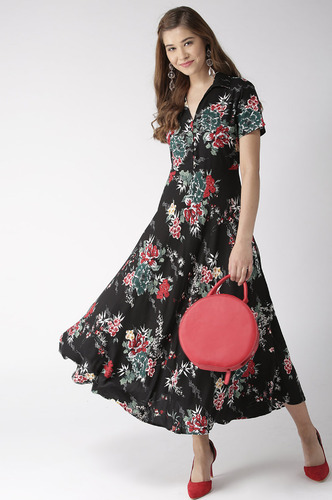 Flowy silhouettes are taking to the streets and this time it's a floral galore. 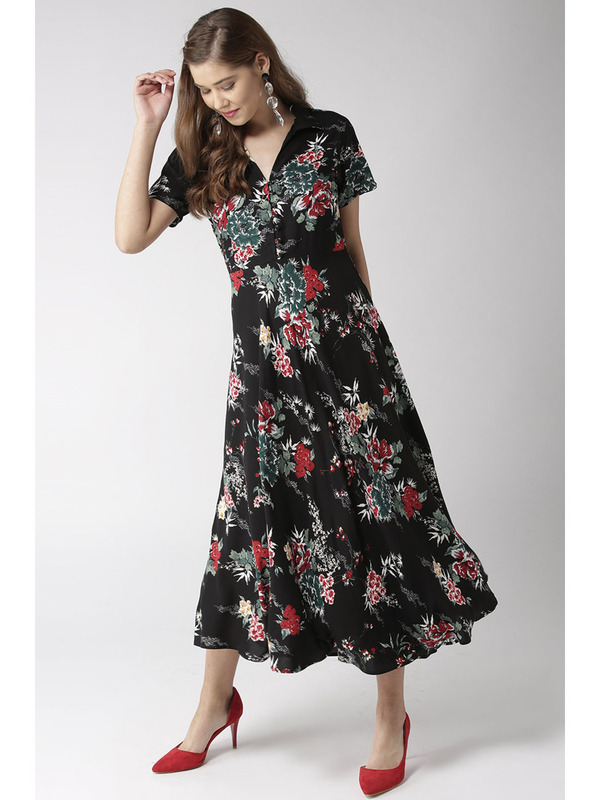 An easy vibe flowing into wardrobe is all set to make a splash. 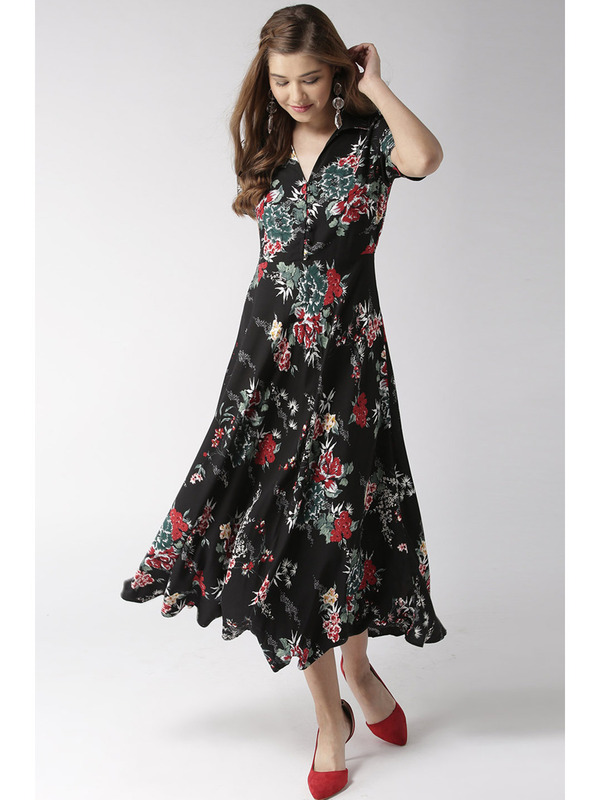 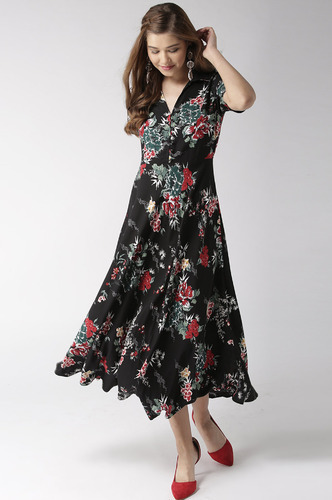 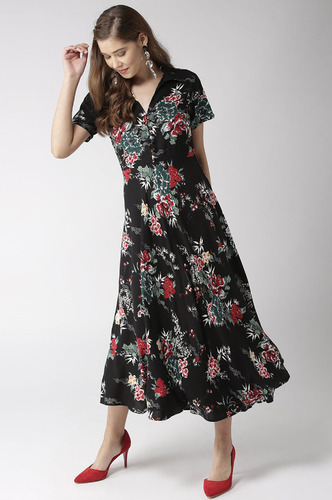 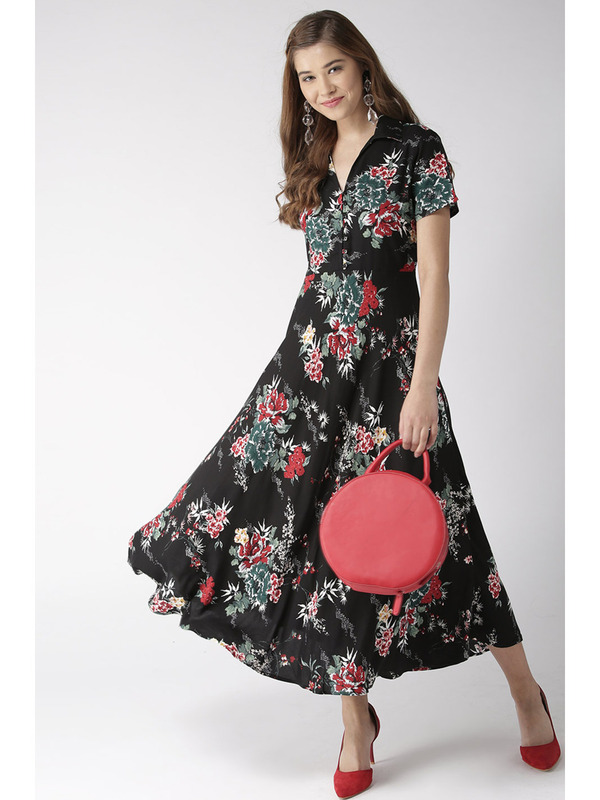 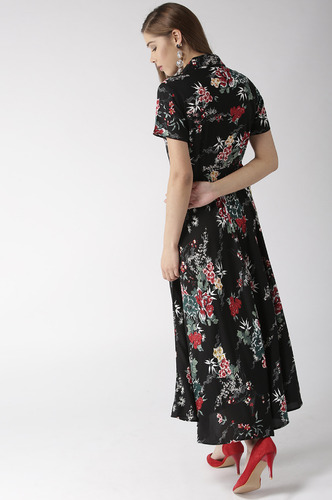 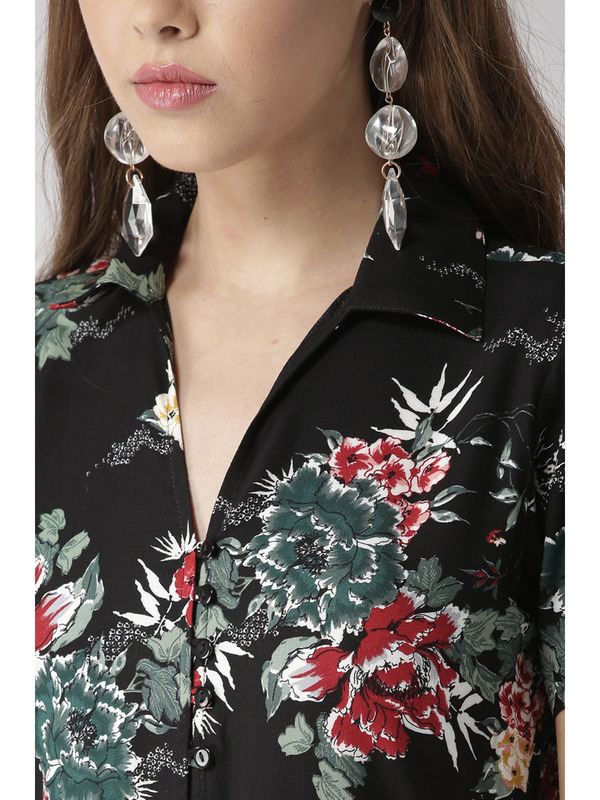 Black Floral Printed Viscose Midi Length Dress. 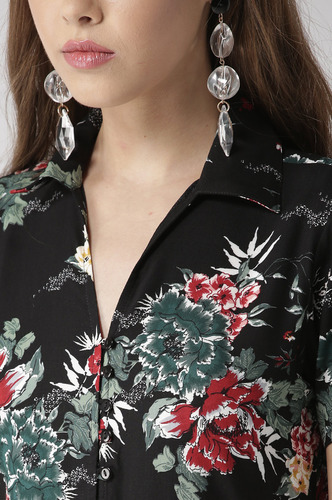 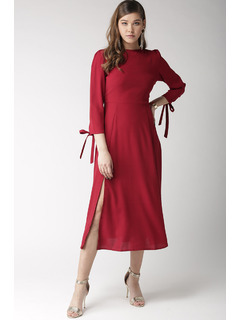 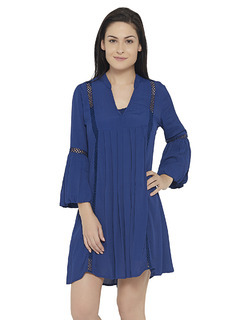 Half sleeves with collared neckline. 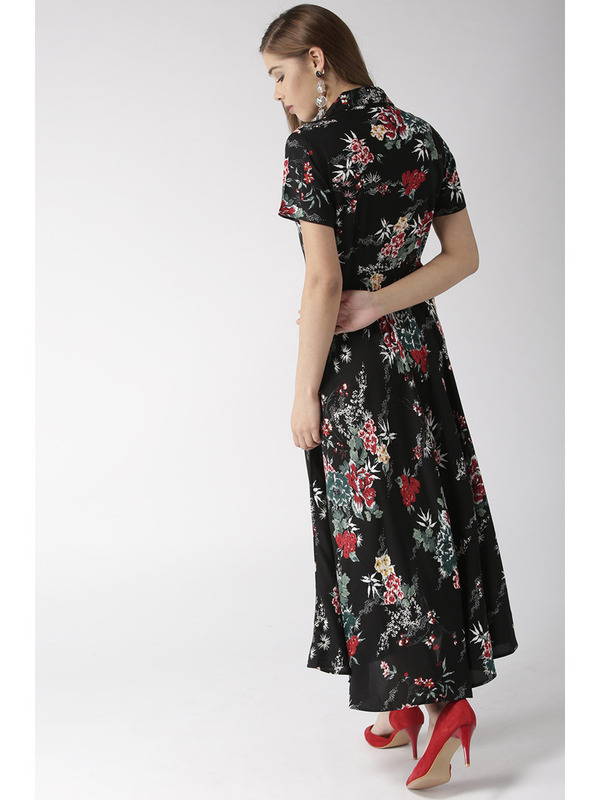 Button Loops in the front.